Words you use will either dissolve your troubles or multiply them. When we know that whatever we send out comes back, we begin to be afraid of our own boomerangs. 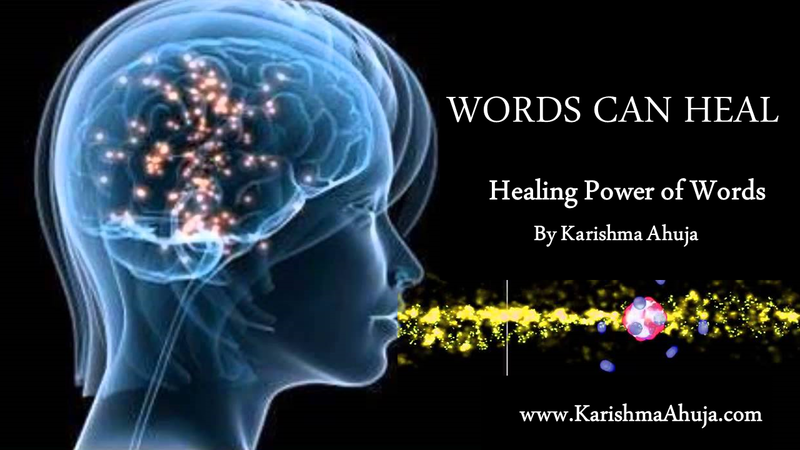 Your words are energy in action, they don’t return void, instead they go to a place that exactly matches what you intended when you spoke the word. The main purpose of this book is to help you clear whatever is keeping you from this moment – a perception, stress, a limiting belief– any unconscious issues that you might feel, but are not able to express. My goal through this book is to share with you some simple tools to help you see yourself and the world differently, to enjoy your life, to relax, to heal, be happy and most importantly be aware of the beautiful ‘Miracles’ unfolding in your life every day. These tools are applicable for all situations and persons, whether you are a student, teacher, parent, executive or entrepreneur, especially for those of us who have ever felt that we have been victims of fate and other people’s mistakes and wrong doings. This book will serve as a game plan for you to turn your life around positively, to experience true joy, live large, dream big, choose courageously and love limitlessly, all through harnessing the power of your own ‘Words’.